Ideas of dead, inert space, non-living, machinelike, reflexively controlled bodies and passive, meaningless things are very modern. At the very heart of the program of modernity, resource exploitation and consumption is the idea that non-humans have no agency – they are simply resources to be manipulated and exploited at out will. 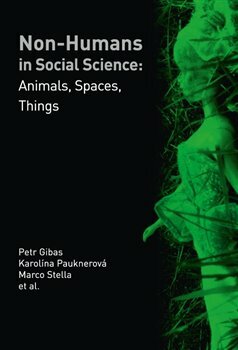 Mostly leaving aside the more and more evident ethical concerns of this worldview and this particular setting of the human-nonhuman boundary, this volume attempts to explore what social sciences have to say about the relationship between the human and non-human. The intention of this book is to offer a non-human perspective. We realize that it is sometimes difficult to say whether the outcome of such a perspective would be just a shallow tendency to anthropomorphize, or whether we could reach some of the previously unseen properties of non-humans. Being aware of the dangers, this volume puts together different case studies that are more or less inspired by the non-human perspective. The aim is to explore what has been for a long time put aside and to provide new insight, new revelations that con lead social sciences to undiscovered or hidden realms. The outcome of this thrilling adventure can in the end be a discovery that the role of natural and social sciences, or even more, the character of the nature-culture dichotomy would have to be re-evaluated.